Hero Skills: When to use which? For most levels in campaign, attacking them is straightforward. You select an army and hero to attack, attack, and presto….you either win or lose. Whatever the case, the next time you attack that camp, the camp has been reset and all Goblins are there again. But on the boss levels, this is different, and losing on those maps will leave the remaining Goblin force waiting for you for the next round of combat. How many Goblins still stand is indicated by the boss health bar when you click on the level. It is been long known that finishing off the boss levels in multiple attacks also gives (potentially) much higher High Scores, if done properly. But not many people know how or why this is. In this article, I will provide some information on why this is and how can you can figure out your best attack pattern. While I used to post a screenshot of the top 30 offensive and defensive gear sets with the Best Sets article, I have now provided a link to a zip file which contains the two spreadsheets I use for that, containing all of the hundreds of possible gear combinations. In order to work with it or understand them, I will provide here a short explanation of what each number represents, and how you should use it to compare gear. 3 New offensive Hero Skills: Spearhead II, Bullseye II, Close Quarters II. Their information has been added to the Hero Skills article. Permanent debuffs added, in addition to the perm buffs. Weapon Disarm (attack debuff) and Armor Exposure (life debuff) items function in similar fashion to BC/SW. 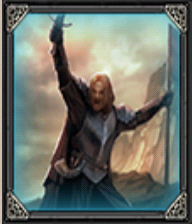 New T4 wall troop: Stone Sheperds (elven) / Gates of Erebor (dwarf). Apparently they are set up as equivalent to Stone Giants for Wall Troops, with massive health, although first testing showed inconclusive results. At the moment, only six can be trained once. Adding to the Wall Troop article as soon as more concrete info comes out. New Tactical Troop: Enchanters. A new troop sporting both high defense and offense stats. Although not shown anymore, lvl 120(!) is needed to train these. More info will be added to the TT article as soon as more info becomes available. Increased player lvl. There is good reason to think (see above) it won’t be long before the player level cap is raised from 100 to at least 120, to train the Enchanters. Increased Hero lvl. Another cap raised is Hero lvl. A glitch a few days ago enabled players to level their Heroes beyond 250. This was then revoked, but with the update it is now official: Hero levels now go up to 280! A small addition to the Hero Skill library came today (I presume as I just noticed), in the form of level II versions of the offensive skills: Close Quarters, Spearhead, and Bullseye. All three Skills seem to follow the same pattern as their defensive level II counter-parts, in terms of Skill % benefit and upgrade costs. Full information on the new skills will be added to the Hero Skill article asap. 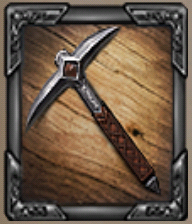 Were Scrolls removed from Extra-ordinary Mines? Lately, I’m having trouble mining Scrolls from extra-ordinary mines. 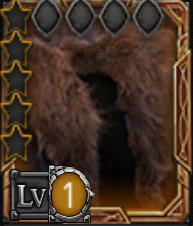 I know mines have undergone some changes, most notably in the number of Tokens, but I want to know whether I’m just really unlucky, or if Scholar Scrolls have really been removed from them. Please let me know if you still find them in mines..